A few others are tucked away elsewhere on in the Vatican site, where you can search for the word for concordat in the sections for various languages. The terms to enter, (in the order listed on the Vatican webpage) are Deutsch — Konkordat, English — concordat, Español — concordato, Français — concordat, Italiano — concordato, Portugês — concordata. The Church Law Society in the Czech Republic. Large collection of concordats (and related documents) in many languages. Church-state legislation in the European Union has been posted by the University of Rome's Faculty of Law. The index is by country and concordats are scattered among other church-state legislation of each nation. United Nations Treaty Series Online Collection. All treaties entered into by any UN member since 24 October 1945 are published by the UN, some of them online. Under "participant search" tick "Holy See". This yields a couple of dozen bilateral treaties, i.e., concordats. Germany: Rechtsquellen zum deutschen Staatskirchenrecht (Legal sources of German state-church jurisprudence). Good private collection of concordat texts in German. Germany: Konkordatsurteil by the EKD, the German Lutheran Church. Court judgements on how concordats are to be integrated into German law. All texts in German. Spain: Acuerdos con Santa Sede (Accords with the Holy See) A search here for "concordato" yields five concordat texts in Spanish. Excerpts of four concordats are translated into English by the Spanish Ministry of Justice. There is a collection of concordat texts by José Tomás Martín de Agar y Valverde, Raccolta di concordati (1950-1999), which is the index from his book of the same name published in the Vatican City in 2000 (ISBN: 9788820927585) It lists concordats with 35 countries. There is also one called Enchiridion dei Concordati. Due secoli di storia dei rapporti Chiesa-Stato from Napoleon to the (still unratified) Czech concordat of July 2002. According to a review, "The compendium, published by the Publisher Dehoninana of Bologna, offers all the Holy See's agreements with the States in the last two centuries. 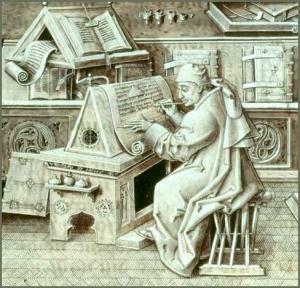 The concordats are presented in the languages they were written in before translation into Italian. The alterations in the concordat texts are also included. For example, the Spanish texts appear between 18 concordats, protocols, conventions, agreements or exchanges of notes." More recent concordats can be hard to track, unless you have access to the Acta Apostolica Sedis which publishes official Church documents and legislation about twelve times a year. It was begun in 1895, under the title of Acta Sanctae Sedis.